Braces are appliances that are used to reposition the teeth to straighten them. Braces also help in improving biting function, oral health and dental aesthetics thus improving the confidence in you. For fun loving people, metal braces can be a great choice as you are able to choose different elastics colours to suit your mood each time you visit the dentist for an adjustment. There are two types, namely, fixed braces and removable braces. The most common type of fixed braces is made of metal. There are also tooth-coloured braces. Removable braces are braces which can be taken off when you eat or brush your teeth. They are cheaper but may not be suitable for all cases. Generally, in children, orthodontic treatment can start after all the “milk” teeth have been replaced by the permanent ones. However, in some special cases, it may be essential for treatment to start earlier to take advantage of the growth spurt and to prevent complications from developing later in life. Yes, it certainly will. You are never too old for braces. However, because the bone structure is denser in adults, treatment time may be longer. The length of time will depend on a number of factors, one of which would be the difficulty of your case. For treatment to be completed successfully in the shortest possible time, it is important that you follow your doctor’s instructions faithfully and conscientiously. Initially, there may be some discomfort. However, your lips, cheeks and tongue will soon get used to them and you might even miss them when they are finally removed. The cost of braces will depend on a variety of factors including the complexity of your case. In addition, the type of braces you will be wearing can influence the cost of treatment. 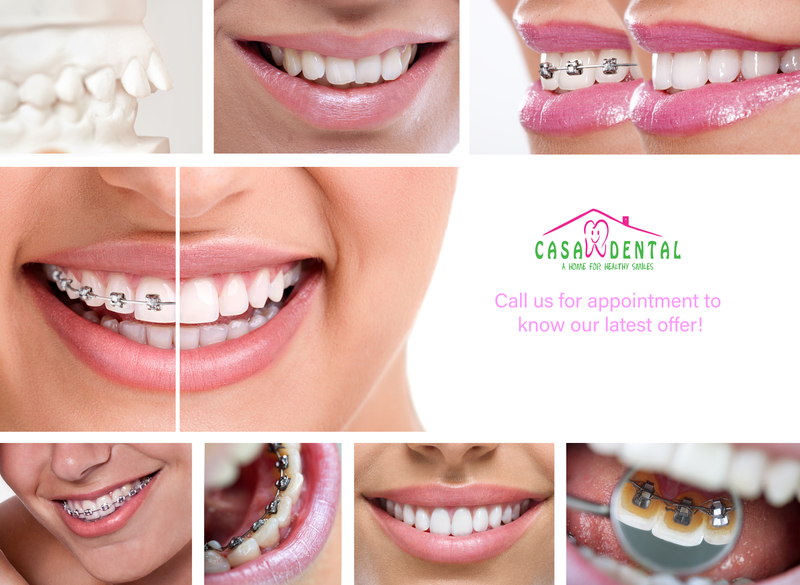 Give us a call & ask for our various braces packages.